The pond was covered in snow and ice, and now fog. First order of business is Happy New Year! I look forward to another fun year of chatting up this wonderful Adirondack lifestyle. There are some fun things on the publishing agenda for Adirondack Lifestyle, so thanks for reading and please stayed tuned. Here’s to a happy, healthy, and prosperous 2011! 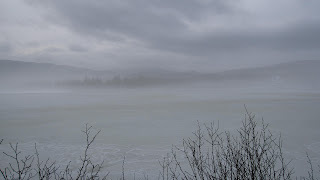 New Year’s Day 2011 dawned warm and foggy in the Adirondacks. This is no ordinary fog however. Today’s is the kind of fog that usually brings tears to the eyes of a skier: ground fog. Thick ground fog means the air floating by on the jet stream is warmer than the ground. 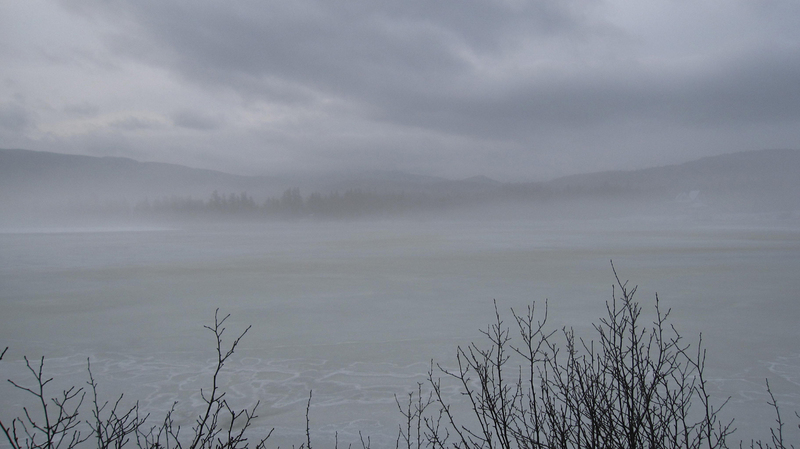 The ground is cold in the Adirondacks right now because it is blanketed in lovely snow. The fog is actually little tiny pieces of potential ski surface, evaporating and floating up into the ski, oops, sky. In an odd twist however, this first day of 2011 is a beautiful day in the Adirondacks despite the deteriorating ski conditions. After a dose of sub-zero temperatures and the dry air that accompanies such cold, 45 degrees and moist air is a pleasant climatic break and creates a special sort of beauty. This beauty is best felt or experienced closely. 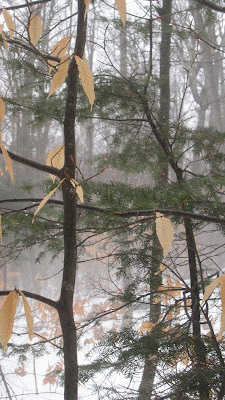 A walk in the Adirondack woods in heavy ground fog hits all the senses. In addition to the visual impact, an outdoor excursion today is a tactile experience; one can feel tiny droplets of moisture hit the skin. This weather is also a treat for the nose as the unusually warm air heats up small patches of exposed earth and balsam greens and creates a deceptively springtime aroma. I don't lament the loss of snow; Mother Nature will surely provide for us skiers within the week. Living with and integrating nature's rhythms into one's life is one of the best parts about the Adirondack lifestyle.